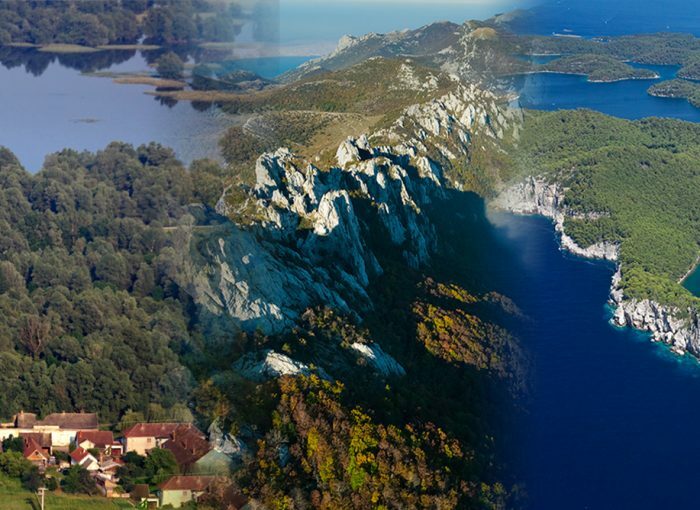 Regions of Croatia, pieces of a beautiful puzzle - Explore Croatia Become a Patron! With the surface of only some 55 000 km2, Croatia is a bridge from Mediterranean to the Alpine region in the north, Vast Pannonia plain in the east and Dinaric wilderness on the southeast. Croatia stretches from the lazy, wide rivers on the Pannonia plains with giant wetlands and vast stretch of the golden wheat and corn fields, to the mountainous part where wolves, bears and lynx roam, to the craggy and exotic Mediterranean coast bathed in sun and crystal blue sea. Northwestern Croatia includes Zagreb, the capital, and the lands around it, up to the Slovenia and Hungary in the northeast. Big rivers (the Drava, Mura and Sava) define the natural borders – they are still mostly natural, with sometimes large floodplains with marshes. Drava is said to be one of the last remaining natural lowland rivers in Europe (Read more about Croatian rivers). Hills rise from the plains, but not more than little bit over 1000m above the sea level, often crowned with the forts and castles. The area abounds with hiking routes and mountain huts. Vienna style Zagreb is the main urban attraction, but small towns like baroque Varaždin or festive Samobor are still interesting and lovely. The granary of Croatia mostly flat Eastern Croatia is delineated by the Drava (bordering Hungary) river in the north, and the Danube in the east (bordering Serbia), and Sava on the south (Bosnia). Rivers are attraction in their own right, wild and dynamic, still spilling over to their vast floodplains like Kopački rit and Lonjsko polje nature parks. These parks are living zoo, with impressive deer rut in the autumn (See deer rut in Kopački rit) and huge flocks of the birds and other animals. Lonjsko polje is furthermore blessed with the traditional architecture of wooden houses that could even be easily dismantled during the floods. 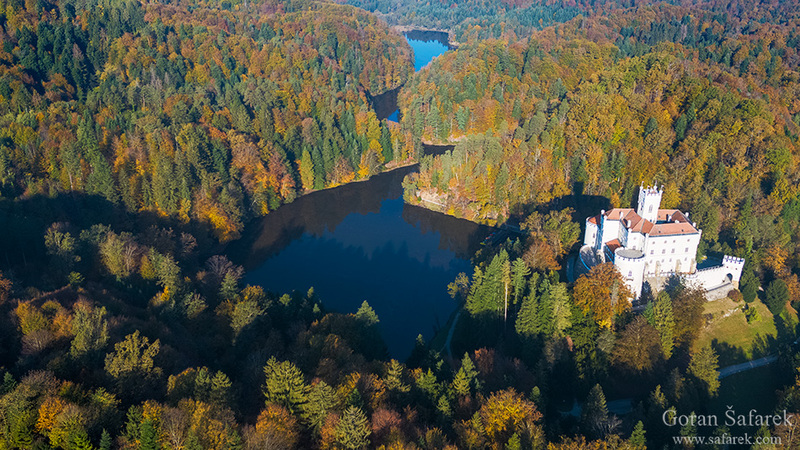 Island hills are dominating central part, with Papuk mountain and nature park. 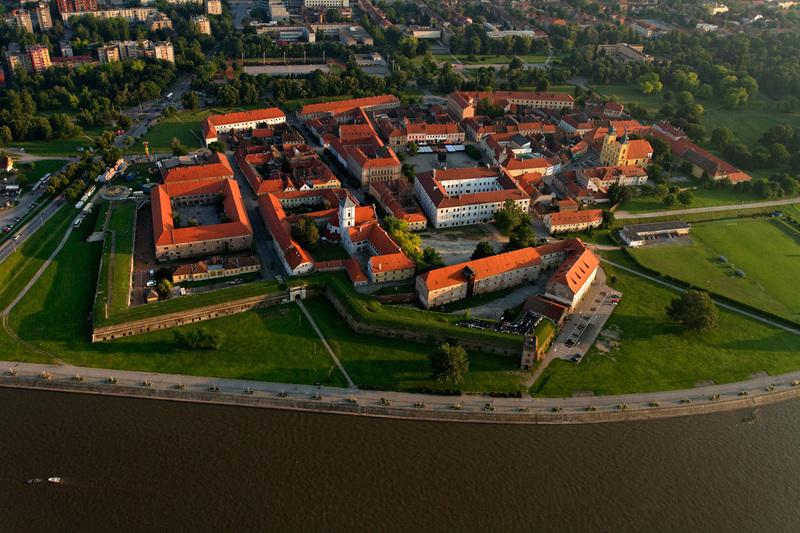 Several towns deserve attention like Osijek, the centre of the region, but also Đakovo, even war wrecked Vukovar, now rebuilt on the Danube banks, today an important stopover on the Danube cruising. Karlovac is the town at the thinnest part of Croatia, where plains start rising into the hills, then mountains. It is also the meeting point of emerald rivers, with deep slow parts that suddenly tumble down through spectacular waterfalls. Plitvice Lakes are the best example.Hills culminate in Gorski kotar, a region touching Slovenia on the northwest and Kvarner to the west. Deep green in summer, white in winter, this is the realm of wild animals and scattered villages and towns and wild rivers. 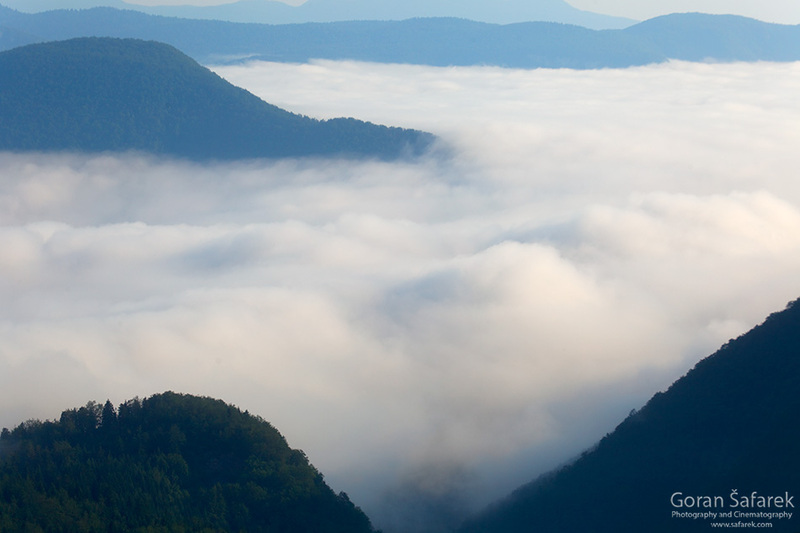 Gorski kotar gradually descends to the south, to the Lika highland, with lovely meandering rivers that are born in one side of the plain, flows gently and disappear back in the underground. The view onto the sea is obstructed by very high coastal mountains like the Velebit Mountain, arguably the wildest part of Croatia, with spectacular landscapes. How to choose the best part of the Adriatic coast, see in our article What part of Adriatic coast is best for you. Even Romans loved Istria, as vilas rusticas distinctly demonstrate. Istra is therefore cultivated land, with enchanting coastal towns like Poreč, Pula or Rovinj, but also in the interior. 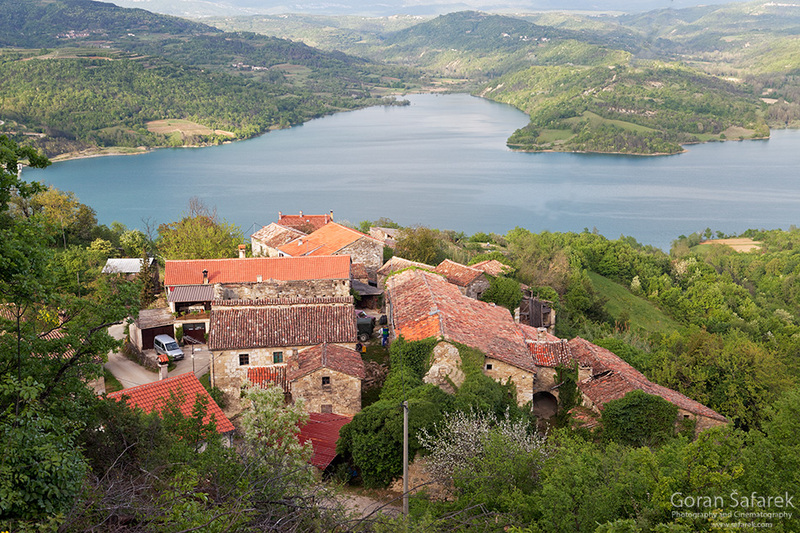 Motovun, Hum and others are hilltop towns amid the rolling hills with the wood and small farms. In Istra, you can majestically wine and dine, immerse in history, engage in various outdoor activities or just be lazy on the beach. Brijuni and Kamenjak re natural highlights, but every nook and cranny of Istra offers a chance to discover something and please your senses. Kvarner is bordering Gorski kotar on east and Istra on the north. Actually, southern slopes of Istrian Učka Mountain are part of the area. Kvarner is a huge bay with the port city of Rijeka at the bottom. Continental part consists of two sides. One goes to the Učka mentioned above foothills – Opatija Riviera, with the string of small coastal towns, glitzy Opatija is the most known. These towns are a blend of Croatian and Austrian architecture, with posh villas and hotels. Another continental side follows the Adriatic coast to the south, beneath the mountains that eventually become mighty Velebit. Several towns are also tourist centers. Then, there are islands: the largest Croatian islands –Krk and Cres, together with Mali Lošinj are and popular tourist destinations with beautiful nature and historic coastal towns. Smaller, bare and weather-beaten islands that jut from the sea stretch further south, ending with the Rab Island – the border with Dalmatia. This is the most accessible part of the Croatia coast. All praises to Kvarner and Istra, but Dalmatia is the true Mediterranean. Split is the largest city, but Zadar, Šibenik and Dubrovnik are other major economic hubs, but also historical and cultural centers of Dalmatia. Numerous other stone, mellow towns, and villages adorn the coast that you can’t escape the ancient times that date back to the Greek presence. Dalmatia is a coastal getaway, where people still blend in harmony with nature (despite rampant urbanization in some places). Blue and crystal clear sea bathe mostly rocky shore, in the shadow of the Aleppo pine and Mediterranean oaks. 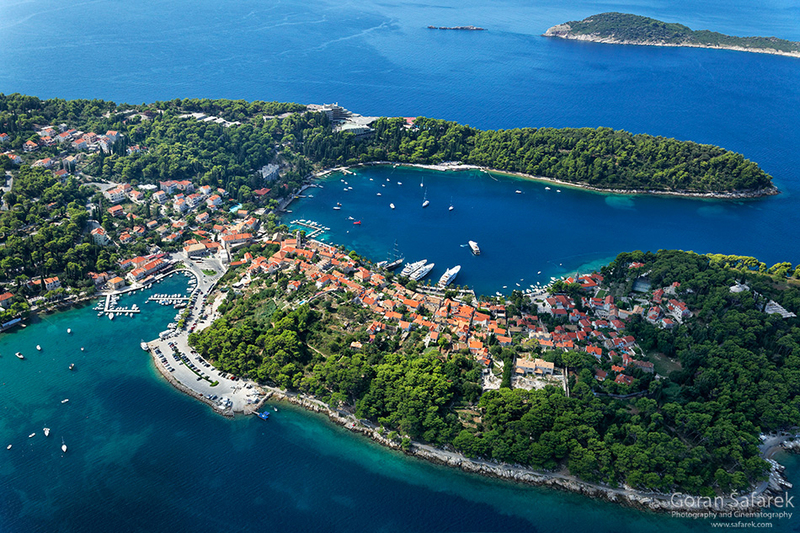 Dalmatian islands often emanate in laid-back island vibe, while some of them like Lastovo excel in island seclusion. 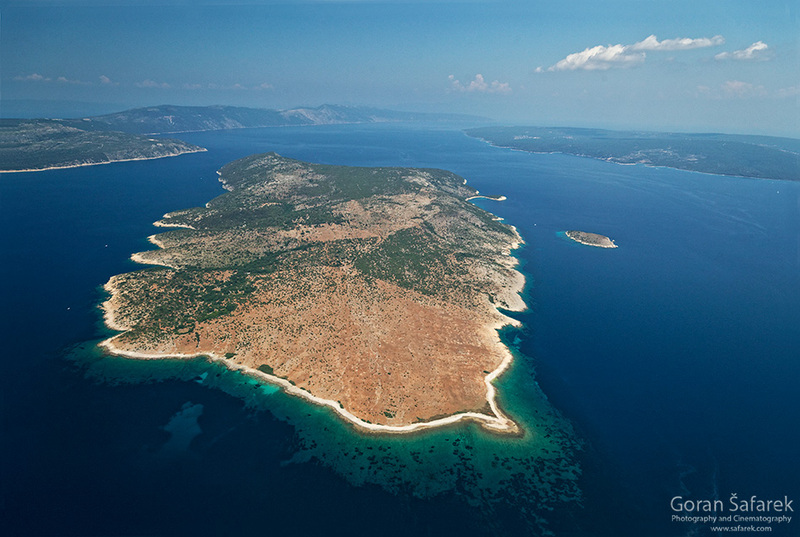 Previous Article What part of the Croatian Adriatic Coast is for you?